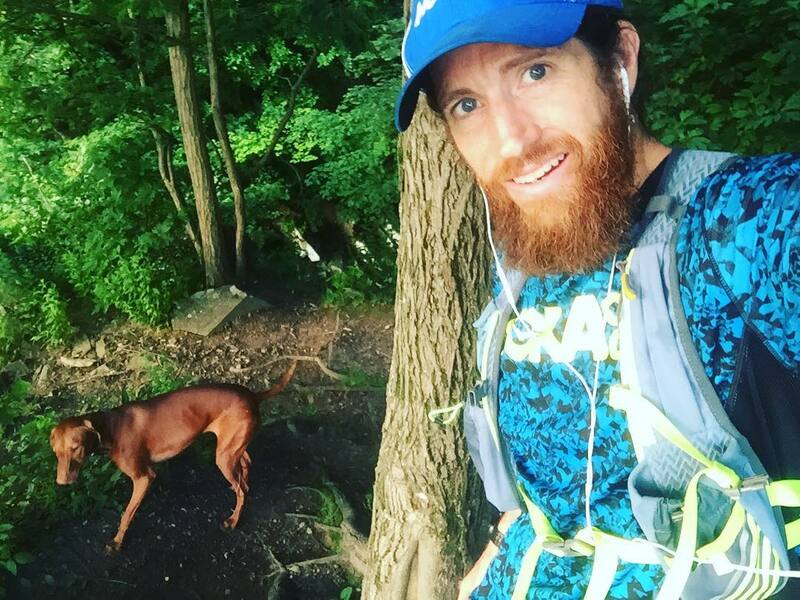 Michael Wardian is one of the busiest runners around, earning podium finishes on both trails and roads. Last spring, Wardian ran three 100-mile races in about five weeks, including the Trail Menorca Cami de Cavalls in Spain’s Balearic Islands, the San Diego 100-Mile Endurance Run and the Great New York 100-Mile Running Exposition. Next year, he’s planning to try to set the record for seven marathons on seven continents in seven days. This weekend, he's running the Missoula 5K and Missoula Marathon - and he might even get out on our trails. As part of his visit, he’ll be sharing his adventures from noon to 1 p.m. Saturday, July 9, at the DoubleTree Hotel, 100 Madison St. The event is free and open to everyone. In the following interview with the Montana Trail Crew, he discusses his favorite trails and trail races, his training, his schedule and what brought him to Missoula. MTC: You didn’t begin running competitively until after college, where you played lacrosse. When and how did you get into trail running? MW: That is true. I played lacrosse growing up and picked up running to stay fit, and then wanted to just run the Boston Marathon once but didn't realize you had to qualify. So I ran the Marine Corps Marathon and qualified, and then I got hooked at the Boston Marathon. I loved it and being a part of the running community. I did my first trail race at the JFK 50 Mile in 1997 and was smitten by how much fun it was to run on trails but also challenging and different than road running, and I knew I would be doing more trail running in the future. MTC: What is your favorite trail to run near your home in Arlington, Virginia? What is your favorite trail race? MW: My favorite trail currently in Arlington is the Potomac Heritage Trail, and I usually run at least once a week on it with our Vizsla, Rosie. It is so cool, technical, beautiful and diverse. My favorite trail race so far in the Washington, D.C., area is the JFK 50 Mile as that was my first ultra. 1. The Tarawera 100K in Rotorua, New Zealand, is pretty amazing. 2. The Buff Epic 105K in Spain. 3. Diagonale des Fous 100-miler on Reunion Island is insanely awesome. 4. Ultra Trail du Mont Blanc is so, so beautiful. 5. Cami de Cavalls 185K on Menorca, Spain. 6. Hong Kong 100K in Hong Kong. 7. Western States 100 Mile Endurance Run in Squaw Valley, California. 8. Speedgoat 50K in Snowbird, Utah. 9. Eastern States 100 in Waterville, Pennsylvania. I am hoping to do some more epic trail races and get out your way for The Rut 50K at some point. MTC: You’ve competed in some of the hardest races in the world, including the Marathon des Sables, the Badwater Ultra Marathon, Ultra Trail du Mont Blanc and the North Pole Marathon. How do you train for mountains and extreme conditions at home? MW: I am super lucky to have gotten to do some incredible events, and I train for these by trying to get my fitness as high as possible. I really focus on what I can control, which is being super fit, strong, fast and determined. And then, if I can, I do as much specific training as possible, but some events with crazy vertical and descents are really hard to train for in Washington, D.C. But that is fine - I can get on the treadmill and get in the vertical and run stairs or hills to mirror the downhills. But again, I think being fit allows you to do the best possible. MTC: You had a busy spring, running three 100-milers in about five weeks and a half marathon the day after one of those races. What did your training plan look like leading up to that schedule? MW: I have had an amazing year so far with some super runs and experiences and lots of events around the world that have all been testing my fitness, and my training has been really good. I have been averaging between 70 and 120 miles per week and I have felt really strong. I have not been doing much speed work yet on the track - just tempo runs and pickups - but I’m planning to get into faster stuff this weekend (last weekend) with three different 5K races and hope that kick-starts my leg turnover and gets me ready to run quick at the Missoula Marathon. MTC: What is your job, and how do you fit work into your busy running schedule? MW: My job is as an international ship broker and I work full time, so it is difficult but so worthwhile and I wouldn't trade it for the world. My schedule is pretty steady. I wake up early, run before work, then I come back to the house and help with the boys - we have two young sons that are 9 years old, Pierce, and 7 years old, Grant - and after they are on the bus for school, I ride my fixed-gear to work and I work till around 11:15 a.m. and I run again, and then I work to around 5 p.m., and I bike or run home. I do that Monday to Friday, and on the weekend I try to meet up with friends and run a longer run if I can and I am not racing. I usually do a trail run with our Vizsla, Rosie, on Thursday on the Potomac Heritage Trail, and I am going to add a track session on Tuesday mornings to get ready for more marathons this fall and trying to set the world record for seven marathons on seven continents in seven days in 2017. MTC: If you focused on just one 100-miler, how fast do you think you could finish? MW: I would like to think if I had a great race and everything went well I could be close to 12 hours or maybe even a little below - going to see what I can do on that end at some point. MTC: Over the years, you’ve become respected for both road and trail running. How are they different, how are they the same and do you think runners focusing on one over the other divides the sport? MW: I have been super lucky to have been able to find success on both the roads and trails, and I think they are the same in that fitness matters and if you are up for the challenge both can test you and are really fun. I think the differences are that the pace is usually slower on trails, you have to watch your feet, carry more and be very concerned with markers and footing. With road running, there are fewer surprises but each course has its challenges, and it is more about dealing with the pace and trying to maintain it to the finish. And I really enjoy that challenge. I think that runners should find whatever they are interested in and do that, and I am just happy that more and more people are finding running. I feel like running is a great way to explore the world on roads or trails - I enjoy running on both. MTC: With the exception of races in California and the Speedgoat 50K in Utah, it doesn’t appear that you’ve competed out west much. Why the Missoula Marathon? MW: I love going to new places and I have definitely competed a bunch in California, but also Washington state, Utah, Colorado, Texas, Nevada, South Dakota. And I am trying to explore the entire U.S. and world, so expect me to do more and more races around the country. I have wanted to visit Missoula for years - I have some friends out there in Mike Foote and Mike Wolfe, and also my buddies Jason Schlarb and Jeremy Wolf have said how cool it is, and that was enough to get me interested. And when (Missoula Marathon elite coordinator) Tim Mosbacher mentioned it, I jumped at the chance. MTC: Having run two marathons in a day, back-to-back treadmill 50Ks to set a world record, and the 100-miler and half marathon this spring, do you plan to get out on Missoula’s trails with former teammates Mike Wolfe and Mike Foote between the 5K and marathon? MW: I would love to get to explore some trails for sure - I am up for anything, wink. MTC: In keeping with your busy schedule, you're running the Laugavegurinn Ultra Marathon in Iceland the week after the Missoula Marathon. What attracted you to that race? MW: We love Iceland, seriously. I have been twice to Iceland - the first time was for my brother's bachelor party and then we went to see the northern lights this past Christmas - and have had the Reykjavik Marathon on my radar for about 10 years, but haven't been able to do it yet. However, in the last five years I learned of the Laugavegurinn Ultra Marathon and knew if I could I would race it, and this year it fit the schedule and I was able to make it happen. I can't wait to mix it up against the athletes there and I am excited to see a lot of the country during the event and afterward. MTC: What can people expect to hear from you at your talk here? MW: I hope that people who come to the talk can learn a bit more about me and my travels, my passion for the sport and be inspired to do a bit more than they think they can.